I am a huge advocate of online dressage. As a first time horse owner with big aims and no transport, I really benefited from being able to use online competitions. They gave me something to aim for and focus on, which motivated me to put that extra effort into schooling Scottie. 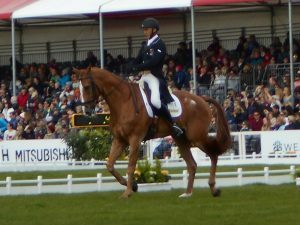 In fact I am sure I wouldn’t have achieved what I had in my first few years with Scottie if it hadn’t been for supportive online dressage companies. I am now extremely lucky to be supported by EquiMind, an online dressage company who focus on encouraging their customers to improve. For more info on why I think EquiMind is so special take a look at my Want to have a go at competing online post. 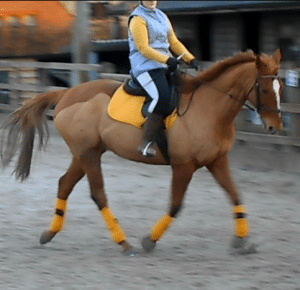 But for now I am just going to tell you why you should give online dressage a go! I personally really struggle to keep motivated in my schooling when I don’t have something to aim for. Knowing I have to film a dressage test at the end of the month keeps me motivated so that I put that extra work in to improve. One of the things I love about online dressage is the more relaxed turn out rules! You don’t need to be squeaky clean or plait up. You can also keep boots and bandages on your horse. But if you want to dress up and do it properly you can do that too! In fact, for EquiMind’s seasonal championships, proper show attire is required. We recently filmed our EquiMind in Matchy Matchy! 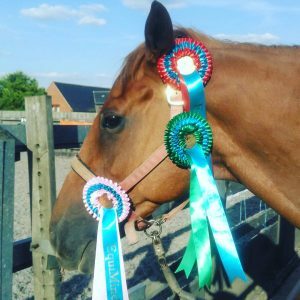 Typically online dressage give out really gorgeous rosettes, often much better than what you would expect to receive at your local and perhaps even affiliated dressage! EquiMind also gives out prizes for some of their classes. Good online dressage companies use BD registered judges. This means you get fair scoring from well trained judges and often some really helpful feedback to help you improve. EquiMind are really good in that they ask the judges to give as much feedback as possible, especially on the lower scoring tests. 5 – So Much Cheaper! Let’s face it, going to a show is an expensive day out. Realistically you are looking at at least £12 for a class. You might need to pay extra for membership fees to different organisations such as British Dressage. And then there is your transport. If you aren’t lucky enough to own your own transport you could easily be looking at an extra £100 in costs. Whereas the typical online entry costs £12-£15, which includes everything! Due to many organisations using BD registered judges, you can expect to receive a similar score as to what you would have received at an actual show. This means that if you currently can’t get out, you can still have a good idea of where you are in the grand scheme of things and when you are ready to move up a level. Or if you have a fairly green horse who tenses up at a show and can’t give it his best, practicing at home and seeing these scores improve can help keep you going by proving that you are capable of it, he just needs practice of new places. 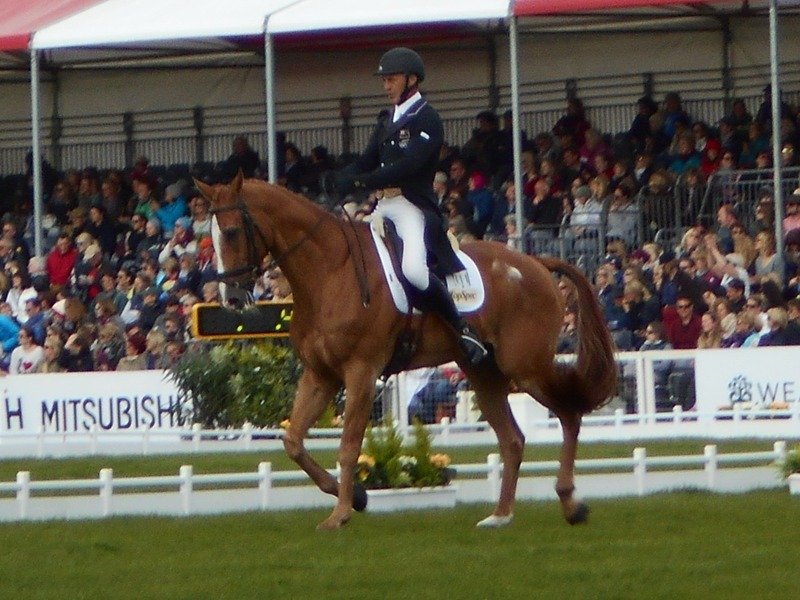 Many companies also offer long term competitions such as rider leaderboards or championships. Leaderboards typically work by each class you enter earns you points towards the overall leaderboard. Whereas Championships work as a special ‘show’ for riders who have achieved a certain placing. So not only can you have a fantastic time schooling your horse in these classes, there is also the opportunity to win more gorgeous rosettes! Many of these companies have an online community where riders can interact with each other and meet like minded people – similar to how you would bump into people on the show ground, but probably much friendlier! 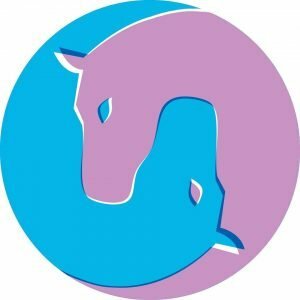 EquiMind has a Facebook group for all the riders and us EquiMind sponsored riders have our own group chat. Everyone is really supportive and congratulates each other on their results. If you are interested in having a go at online dressage, I can highly recommend our amazing sponsors EquiMind!